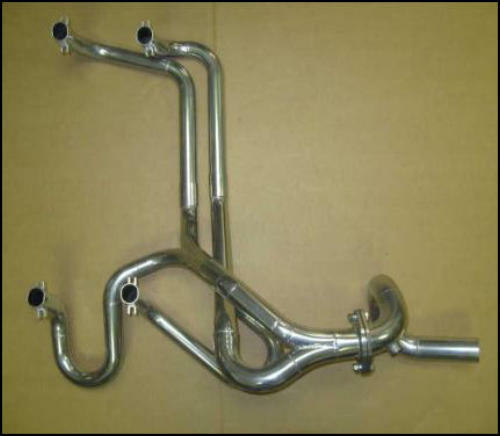 The Race Header has shorter tuned pipes for engines designed to make power well above 6000 rpm. 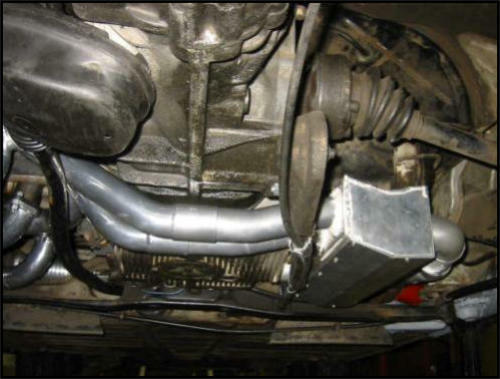 The Street Header is tuned to maximize power below 6000 rpm. 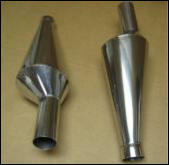 4 Primary sizes are available: 1 1/2", 1 5/8", 1 3/4", 1 7/8"
The Stage I Silencer is too loud for street use. It’s only available on our race systems. The 914 EVO II Silencer is available with exhaust outlet in the stock location or with twin center tips. 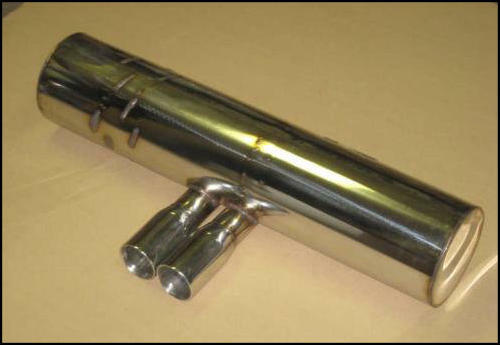 On a 150hp, 1.8L race engine no measurable difference in output was observed during back-to-back Dynojet chassis dyno runs with the Stage I and EVO II silencers. 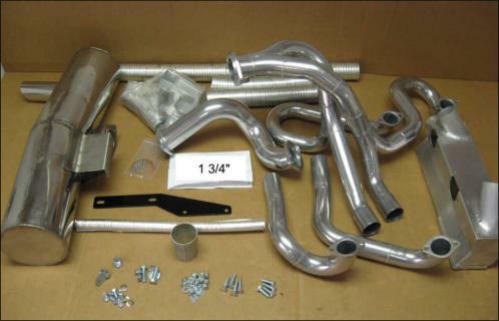 Add a heat exchanger kit to your Tangerine Street Header for more comfortable cold weather driving. 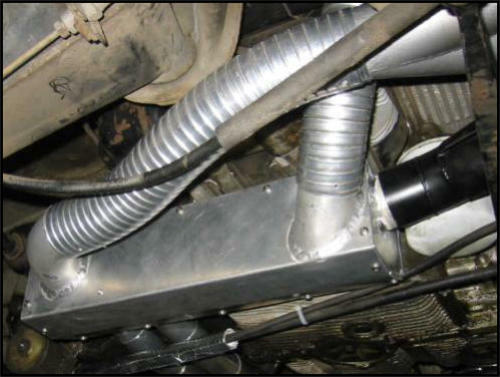 Easy installation/removal. May be retrofitted onto existing Tangerine systems. 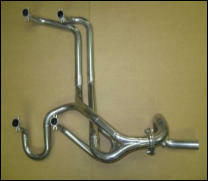 Tangerine EVO Stock (1 1/2") Exhaust System - Street Configuration only. Shipping Price will be billed separately after you place your order. Allow at least 10 weeks for system completion before shipping. 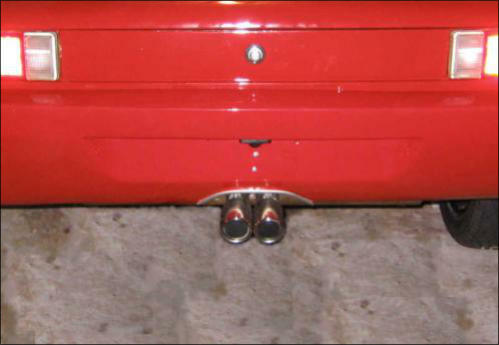 Tangerine EVO 914 Improved (1 5/8") Exhaust System. Shipping Price will be billed separately after you place your order. Allow at least 10 weeks for system completion before shipping. 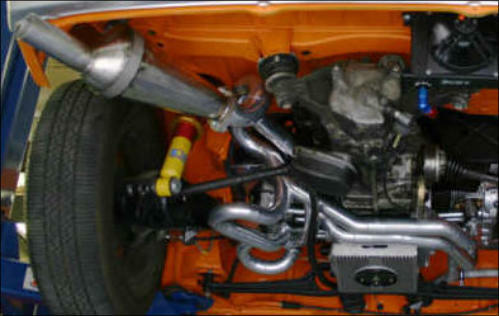 Tangerine EVO 914 Modified (1 3/4") Exhaust System. Shipping Price will be billed separately after you place your order. Allow at least 10 weeks for system completion before shipping. 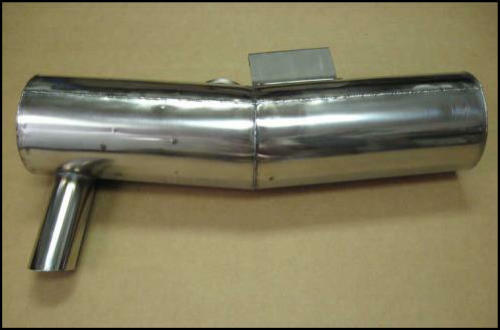 Tangerine EVO 914 Mega (1 7/8") Exhaust System, Street only Shipping Price will be billed separately, after you place your order. 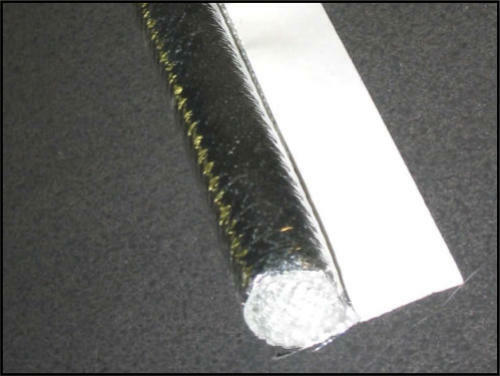 These systems are custom built to order may take 16 weeks or more to produce.